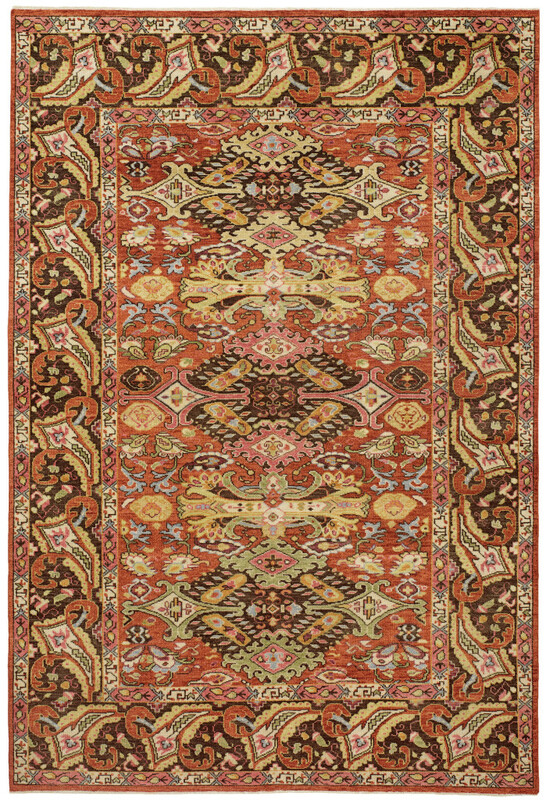 A vibrant spectrum of exuberant hues are beautifully showcased in the Karabaugh Rug. The centerfield and borders are a filled with gorgeous floral and leaf motifs that are meticulously hand-knotted by artisans, a process taking anywhere from weeks to months to complete. 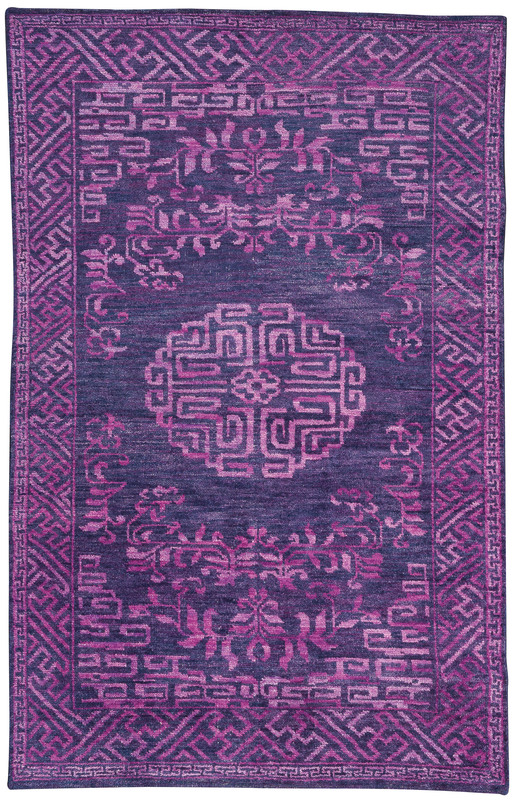 The dynamic mixture of colors used in the Karabaugh make this rug both exciting and extravagant. Possessing a quality of playfulness as well as fine craftsmanship, the Koi Rug is a dynamic and whimsical accessory. 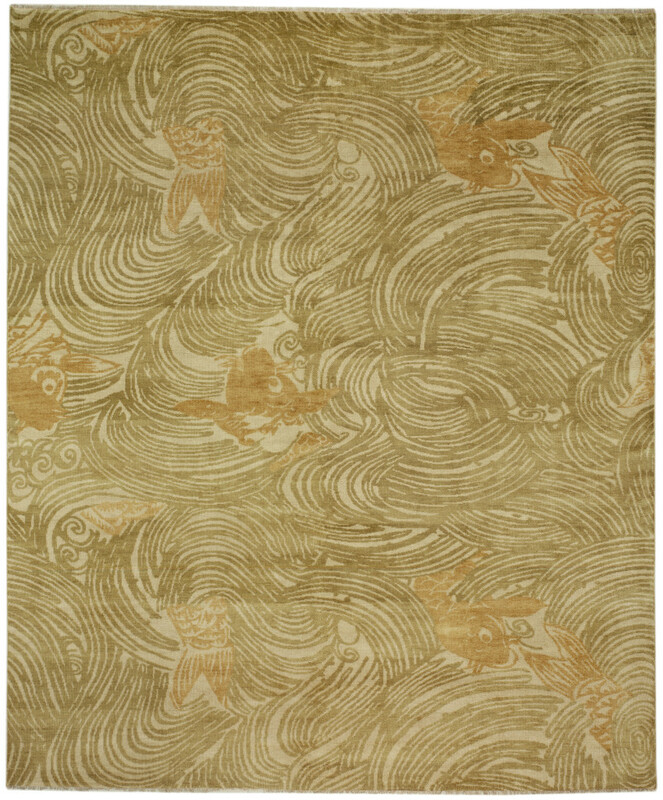 As part of The Winterthur Collection, the Koi Rug also maintains an artful quality that will endure the test of time. Named after the ancient Persian market city, the Herat Rug is reminiscent of old world tradition. It showcases beautiful serrated leaf and geometric patterns in the centerfield while, within the border, a boldly woven walking vine pattern is drawn. The soothing, yet dynamic, mixture of bark brown, blue and gray make this carpet as alluring as it is sensible.This vibrant and stunning Royal Purple rug is inspired by a 19th century Chinese carpet. 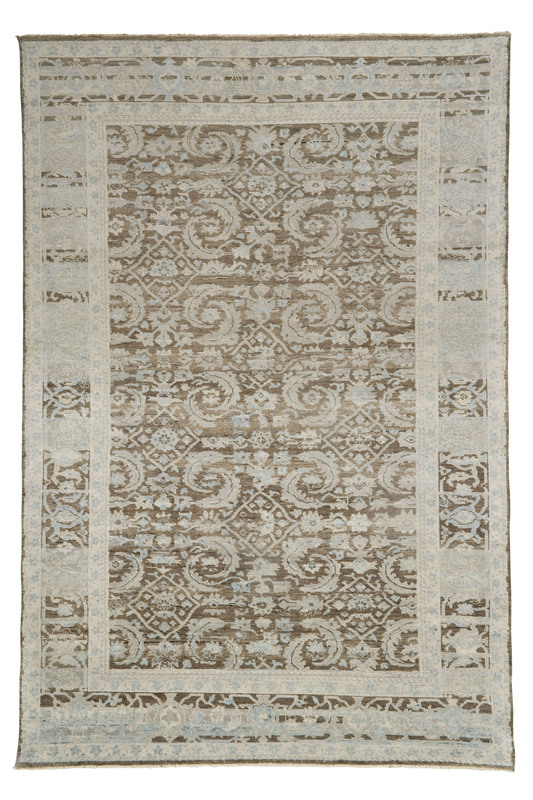 The Dasia Rug has an aged and richly dyed patina which gives the carpet a reclaimed yet regal look. Add a dream weaver by Currey & Company underfoot to make a space so much warmer and more inviting. They make great accessories in almost any style. This entry was posted in Currey & Company, Products and tagged Accessories, design influencers, Natural, organic shapes, Rustic, Winterthur on January 20, 2015 by Currey & Company.